This coming weekend, the daughter of the incumbent governor of Imo State, Governor Rochas Okorocha will marry the son of Imo State Government Secretary, Prof Anthony Anwuka. The traditional wedding ceremony of Uju Vanstasia and her boo Uzoma Tony Anwuka will hold on Thursday Oct 9, 2014 while the church wedding ceremony will hold at St Joseph Catholic Chaplaincy in Owerri this coming Saturday (the 11th of Oct). 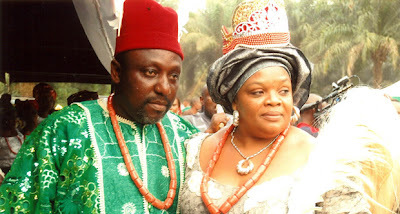 Okorocha’s first daughter was previously married to Chief Uche Nwosu, an official from Nkwerre LGA of Imo State. Same old stories, rich to marry rich, poor to marry poor, is just like that. Same old stories, rich to marry rich, poor to marry poor, even pastors don’t allow their children to marry nobody or else the richest church members daughters/son, if you doubt go and ask *****. Everyone is now a scam in the name of money. i see no problem in there marriage,wishing them happy married life. Is that the governor’s daughter standing with him in the picture? looks like his wife. GOOD EVENING SIR, CALVARY GREETINGS IN THE NAME OF OUR LORD JESUS CHRIST, WHO HAS GIVING US HIS BRIGHTER GRACE AND LOVE, TO OVERCOME SATAN AND HIS EARTHLY AGENT, AND RULE THE WORLD. WE HAVE TO THANK GOD ON ALL THE GLORY HE HAS GIVEN TO US AND OUR FAMILY, FREE OF CHARGE WITHOUT PAYMENT, BECAUSE HE BROUGHT US INTO THIS WORLD AS A CHAMPION, TO LEAD THE WORLD WITH HIS GLORIOUS DESIRE, IN THE TRAIN AND FLIGHT OF RIGHTEOUSNESS. I WHAT TO THANK GOD, AND BE HAPPY WITH YOU, ON THE CELEBRATION YOU ARE EMBRASSING, BECAUSE GOD LOVE YOU AND YOUR FAMILY, AND HE HAVE A BRIGHTER PLAN FOR YOU. PLEASE SIR, I KNEEL DOWN TO BEG YOU, I NEED A LITTLE FINANCIAL HELP FROM YOU, TO TAKE CARE OF MY FAMILY, BECAUSE I DON’T HAVE A JOB, AND GOD WILL BLESS AND OVER SHADOW YOU AND YOUR GENERATION, IN JESUS NAME, AMEN. 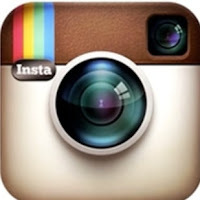 THIS IS MY PHONE NUMBER AND ACCOUNT NUMBER, [ISRAEL EDWIN NWABUGWU = 0026896603 = ACCESS BANK NIGERIA] + , THANKS.